With the continuous declining of solid state hard drives prices, having an SSD as an external storage device can be a real appealing choice for everyone who is most concerned about speed and reliability. This article you are currently reading contains the best external drive enclosures that you can use with your SSD to turn it into an external storage device. Have a look on our best three external SSD drives list if you are looking for a branded external solid state hard drive instead. Take advantage of the lightening speed of USB 3.0 to quickly transfer files up to 5 Gbps! Connect any 2.5” Serial ATA (SATA) or SATA II Hard Drive to your computer through an available USB 3.0 port on your desktop or laptop. The sleek case has a soft rubber feel that opens and closes without screws, so assembly is quick and easy. The retractable cable is connected to the enclosure so you do not need any additional accessories to assemble or operate your hard drive. Reverse compatible with USB 2.0 and 1.1, this enclosure is a perfect solution for data transfers or data backup! Hot-Swappable: Plug & Play Without Rebooting no drivers needed. Aluminum Casing to Cool Down Your Hard Drive. Mediasonic HDK-SU3 Smart Drive SuperSpeed External Hard Drive Enclosure can instantly convert your 2.5″ SATA hard disk drive to an external drive and provides a portable plug-and-play solution for both PC and Mac. The transfer rate is up to 5 Gbps via USB 3.0 and 480 Mbps via USB 2.0 connection. 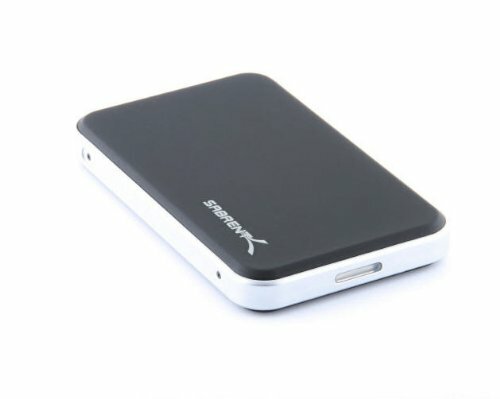 The external drive provides the portable storage space for your music, photo, video, and data file. The Anker® Uspeed hard disk external storage enclosure for 2.5″ SATA HDD/SSDs transforms your disk into a convenient and protected external hard drive. The durable yet lightweight aluminum alloy enclosure offers USB 3.0 and eSATA interfaces for fast data transfer. Tool-free installation allows fast and easy installation and swapping, and since the drive is powered through USB cable, there is no need to plug into an external power plug. Take advantage of the lightening speed of USB 3.0 to quickly transfer files up to 5 Gbps! Connect any 2.5″ Serial ATA (SATA) or SATA II Hard Drive to your computer through an available USB 3.0 port on your desktop or laptop. It is constructed from durable aluminum, to ensure heat dissipation. Transfer data quickly and easily, anywhere, with this great external hard drive case. This enclosure allows you to connect your SATA HDD to USB 1.1, 2.0. or 3.0. I-NA215U Plus External Hard Drive Enclosure featuring the latest technology Super Speed USB 3.0 interface with transfer rate up to 5Gbps, 10 times faster than USB 2.0. I-NA215U Plus turns any SATA 2.5 inch notebook internal hard drives into a Super Speed USB 3.0 External Pocket hard drive instantly! Imagine you storing and accessing your data 10 times faster with I-NA215U Plus. 5Gbps Super Speed performance is perfect for ultra speed data back up or video editing and more applications. 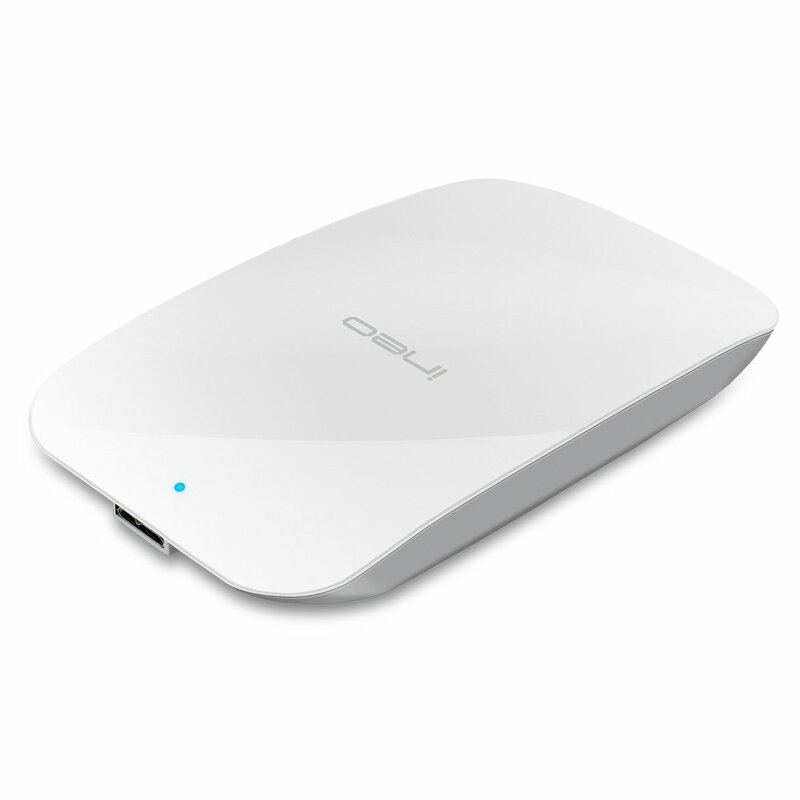 Also I-NA215U Plus is designed in ultra slim, light weight, stylish casing with quiet operation. I’m looking to buy an SSD and an external interfaced “caddy” / enclosure, either USB 3.0 or Thunderbolt – but unsure of what to buy. The speed of some of the HDDs I’ve read about, even with USB 3.0 or Thunderbolt, would be the stumbling block as they usually operate at 5400 rpm. There doesn’t seem to be many at 7200rpm disks around unless they are the smaller size platters. My sense is that a “converted” internal SSD for external use would be a wise choice. Would I be right in thinking that this is a much cheaper alternative than buying an external SSD, such as the LaCie Rugged series from Apple at £250 or from Amazon at around £300? Hi Bob, and welcome to my website. If you mainly care about speed and nothing else, then I would strongly suggest you go for thunderbolt, as with it you can get the most of your SATA III SSD while using it as an external device. Otherwise USB 3.0 is a much cheaper choice with a little loss in transfer speed. (i.e. Max speed of SATA III is 6GBps, Thunderbolt is 10 GBps, and USB 3.0 is 4.8 GBps). The good thing about constructing your own external SSD is that you know what SSD you are using, unlike the branded external SSDs like the ones laid out here: http://www.sata3ssd.com/the-best-external-ssd-drives/ where you just do not know what kind of SSD is being used. As for the price, you need to make your own calculations then you will find out. Hope I have been helpful to you. Many thanks for the swift response, much appreciated. I have an MBA which its 256Gb internal SSD is reaching capacity. I already have Cloud backup and Time Machine in operation but was looking to “offload” for example, my iTunes and iPhoto files to an external SSD, and the external SSD being small enough when I’m out on the road. Whilst price is a consideration my priority is integrity of the data stored. I’d rather pay a premium for that additional comfort factor. I think I may have to wait to cross the pond to the US and pay reasonable prices for an SSD and enclosure, the same of which can’t be said of the UK in all things computer stuff! Perhaps in your write ups you may like to consider “star” ratings for price, size, quality of build/failure etc. What you said is right that you better purchase your computer parts from their “kingdom” (i.e. USA). As for your suggestions I very much appreciate them. My website is still in its “beta” version if I may say. There are lots of developments going to occur on it, hopefully soon. Thanks for passing by and taking the time to leave a comment.